Skin ageing caused by sun exposure, facial blemishes due to excessive pigmentation and, in general, imperfections caused by melanin, are more and more common problems today… “Dark blemishes”, especially on hands and face, are one of the greatest skin concerns of modern men and women… It will only be possible to remove the skin pigmentation and recover the smoothness of the skin, bringing back its luminosity, with a treatment that has a direct effect on the intimate formation process of the pigment (melanin). Cosmelan treatment guarantees the improvement of the skin blemishes with a very high safety margin. 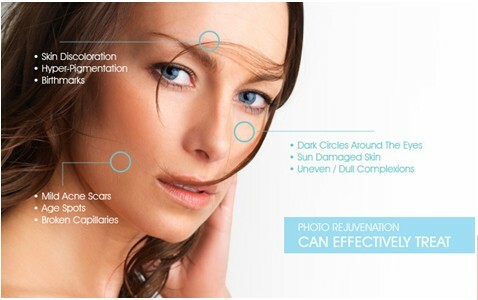 Cosmelan Depigmentation treatment’s principal action is the elimination of melanin patches on the face – Melasma .Also called cholasma if the pigmentation occurs with pregnancy Cosmelan Depigmentation treatment involves a very versatile, dynamic process which is easily adapted to the needs of each individual patient. WHAT RESULTS CAN BE EXPECTED FROM COSMELAN DEPIGMENTATION? In 99% of the cases, the appearance of the blemishes improves by 95%. ONE WEEK after starting the Cosmelan Depigmentation treatment, a noticeable significant improvement of the skin is observed. The reduction of the treated blemish is detected and the appearance of new luminous and rejuvenated skin is present. At the end of the Cosmelan Depigmentation treatment, the blemishes start to disappear altogether, so that, although the patient may be able to “locate” the place where the spot was, the truth is that the pigmentation will have disappeared and nobody will be able to see it just by looking at it. WHAT CONDITIONS CAN BE TREATED WITH COSMELAN DEPIGMENTATION TREATMENT? Cosmelan works by blocking the process that causes hyper pigmentation. WHAT PRECAUTIONS MUST BE UNDERTAKEN BEFORE PROCEEDING WITH COSMELAN? Stop all applications especially glycolic acid two weeks before treatment. The treatment must not be interrupted under any circumstances, during the entire time prescribed. It is completely forbidden to combine the Cosmelan Depigmentation treatment with other Depigmentation treatments, as the appearance of undesired effects cannot be guaranteed. Treatment control visits are recommended 8 days after treatment, 15 days after, and a follow up visit every month thereafter. WHAT CAN BE EXPECTED AFTER A COSMELAN TREATMENT MASK? During the first two days of the treatment, the skin may turn red. If the skin is very sensitive, the patient may experience an itching feeling. Slight burning and tightening of the skin is also absolutely normal, especially during the first 24 to 48 hours after starting the treatment. To relieve these problems, it is advisable to apply the creams advised. The reddening that occurs on the face after applying the Cosmelan mask treatment is similar to the effects of day-long exposure to the sun in the snow without protection. Flaking may occur on all skin types between the second and third day. In this case it is advisable to apply cream advised, repeating this every two hours on the day when the flaking is most intense until it improves. Do not pull on the flakes. Do not rub or scratch the skin. Do not use exfoliants, scrubs or peels. Avoid steam baths, saunas and swimming in a hot spring for 2 weeks following treatment. It is advisable to wait until the initial flaking period is over before starting to apply make-up again. After the third or fourth day, the skin appears healthy and luminous and the marks begin to fade. WHAT CAN BE EXPECTED AFTER THE HOME APPLICATION OF COSMELAN 2? The second phase of the Cosmelan consists of a home maintenance cream Cosmelan with the intention of securing the Depigmentation by association of agents such as Kojic Acid, Phytic Acid, and Vitamin C. We have added a physical agent to block the sun and guarantee that the UV rays do not keep on aggravating unwanted damage to skin though the sunscreen advised has to be used three times a day. WHAT DOES THE STABILIZATION PERIOD OF A COSMELAN DEPIGMENTATION TREATMENT MEAN? The period following the initial 6 month treatment process, is called the STABILISATION period, and this can ideally be extended up to one year. Every effort should be made to continue treatment throughout the first summer. Even if the treatment is a great success, long term success depends on how well the protocol is followed, during both the treatment and stabilization phases. VERY GOOD sun block is essential at all times which protect against both uva and uvb radiations. WHAT ARE IMPORTANT INSTRUCTIONS BEFORE USING COSMELAN? IMPORTANT NOTE: The treatment results are largely dependent on your cooperation and adherence to the post treatment skin care. The first 4 months constitute the treatment period. The period following is called the stabilisation period, and this is ideally extended up to one year, or longer. Every effort should be made to continue treatment throughout the first summer. Even if the Depigmentation treatment was a great success, you need to understand that long term success depends on how well the protocol is followed, during both the treatment and stabilization phases. Avoid sun exposure for 2 weeks prior to treatment. IS COSMELAN COMBINED WITH OTHER TREATMENTS? No peels can be done 2 weeks prior to treatment No Laser treatment can be done on area to be treated 2 days prior to peel ,Avoid Dermal Filler in area to be treated 2 weeks prior to peel.